Holmes is back! The sequel to the 2009 hit starring Robert Downey, Jr. and Jude Law is set to be released later this year. By the looks of it, the duo is in the midst of another mystery that seems broader in scope. 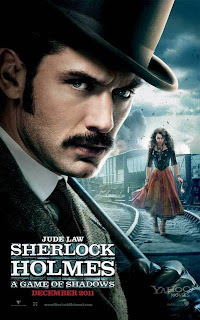 They've seem to pick up another sidekick, Noomi Rapace, along their journey. 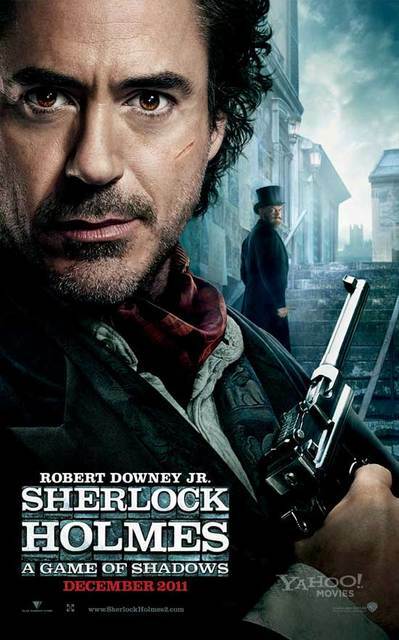 SHERLOCK HOLMES: A GAME OF SHADOWS will be released December 16, 2011 starring Robert Downey, Jr., Jude Law, and Noomi Rapace.